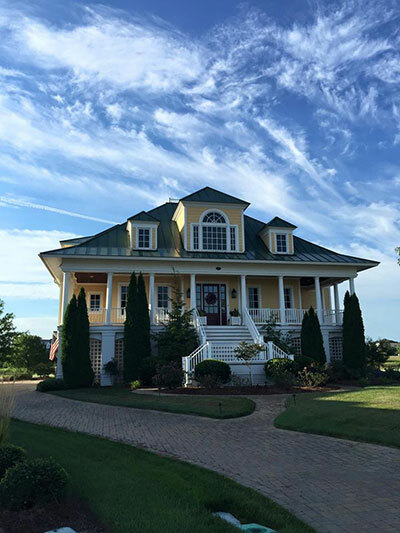 Our third-generation family owned and operated local business has been offering comprehensive exterior home improvement and roofing in Delaware and Maryland since 1999. From patching your roof to installing a brand new deck, our team of professionals are able to take on any task to help improve the curb appeal of your home. While we’re primarily known for our services in roof repair, our top priority is to help our customers improve the exteriors of their homes or businesses. Building decks, replacing windows, and installing vinyl siding are just a few of the diverse services we offer in Delaware and along the Eastern Shore. Our experienced team prides themselves on offering absolutely the best roofing and construction services in Delaware, Maryland and surrounding areas. Whether you need a roof repair, window replacement, a new back porch or vinyl siding, Pro Exteriors is the company that you can trust for certified local services with a lifetime workmanship guarantee. Pro Exteriors is a GAF Master Elite Contractor. With only 2% of all roofing companies being certified across the nation, this ensures that your roof is in qualified hands. We service all types of roofing both residential and commercial. We are qualified to install Velux Skylights of all types and sizes whether you want to add more light or you want to open the skylight to add more airflow. We are a Timbertech Elite Contractor with the skills to install all decking and railings choices. Whether you’re looking for a standard square deck or a complicated multi level deck, we can handle it. We are a CertainTeed Master Craftsman company. We install all styles of vinyl siding and necessary trim profiles. All of these certifications can guarantee a high quality job installed precisely to the manufacturer’s specifications. Get started and experience the outstanding workmanship of Pro Exteriors. Call us now at (302) 664-1700 or fill out our Request Form to get a free estimate!